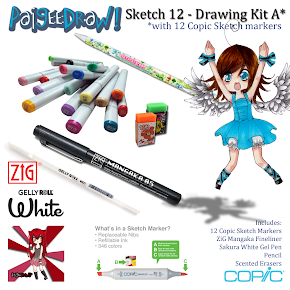 PaigeeDraw: PaigeeDraw Christmas Contest - Most Likes Prize! 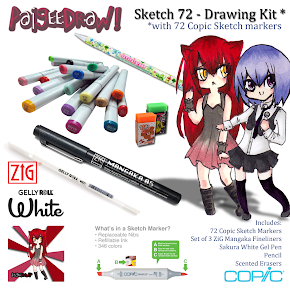 PaigeeDraw Christmas Contest - Most Likes Prize! Congratulations to Ia Mae Buenconsejo! She has won the PaigeeDraw Christmas Contest "Most Likes" Prize! 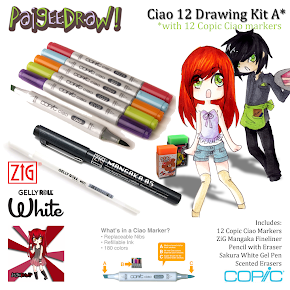 PaigeeDraw has the best prices for Copic Sketch Markers, Copic Ciao Markers, Official Copic Sets, and complete Manga drawing kits! The PaigeeDraw Christmas Contest was a huge success! Almost 100 people entered. 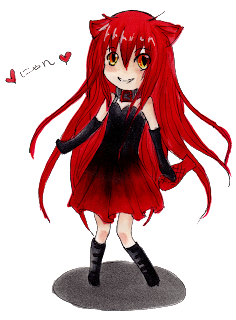 Of all of the drawings entered, Ia Mae had almost 900 Likes and maxed out the number of tags that a single drawing can get on facebook! Story: Christmas is finally dropping in, the sounds of sweet Christmas carols, the smell of freshly baked fruit cakes, and the colorful lighting that creates a vivid atmosphere. However, one thing that Aoi seemed to wonder about is the snow. Not one drop of snow had fallen since the beginning of December in the town. She keeps looking out at the window, waiting for the "white magic" to happen. Seeing Aoi depressed and eagerly waiting for the snow made Nyan worry. This made Nyan come up to Aoi and sit beside her near the window. With just 11 hours away from Christmas Eve, she convinced Aoi to go early morning shopping with her in the shopping district. As the two walked by the shops, they bought the gifts that they were to give on their friends later. Still, Aoi is seen looking down, not paying attention to the lovely scenery of the lighted town. She was about to give up her wish of snow falling down on earth. Nyan was even more bothered about this and decides to stall Aoi first with the fruit cake shop nearby. While they were eating, Nyan immediately told Aoi that she'll be right back despite Aoi even minding her notice. Nyan takes this opportunity to go to the book shop beside the cafe to look up the weather forecast for today. A later while, Nyan urged Aoi to come inside a toy store to buy gifts for a charity. 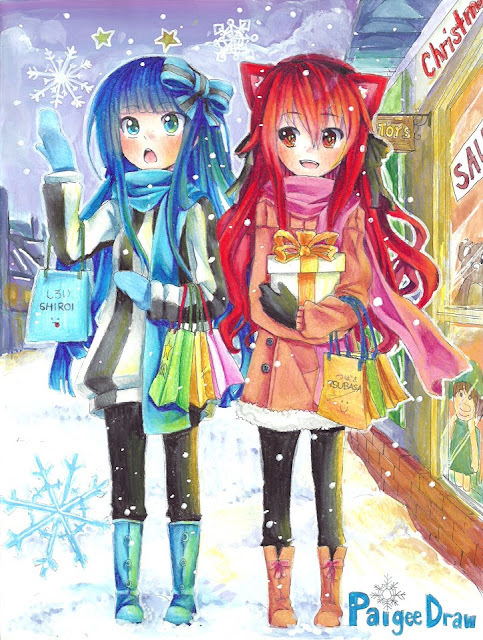 After the purchase, Nyan greets Aoi a "Merry Christmas" and suddenly grasps her hands and leads her out of the store. Aoi was amazed at the environment where she sees a huge blanket of white soft snow that had covered the whole shopping district. She spends a moment of silence with her teary-eyes and wide smile. Aoi then happily turns around while walking the snow-covered sidewalk along with Nyan. Nevertheless, she was very satisfied of the scene as if it was a gift to her. "Thank you, Nyan. Well, what would you like for Christmas?" Aoi said. Nyan replied, "No, Thank you. I just wanted to see you happy again and to be with you and our friends together on Christmas Eve sharing happy moments and the warmest smiles." A huge thank you to everyone that entered the PaigeeDraw Christmas Contest! A huge thanks to the PaigeeDraw Community for all of the continued support! 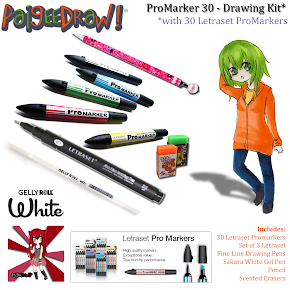 PaigeeDraw Christmas Pro - Contest Winners! 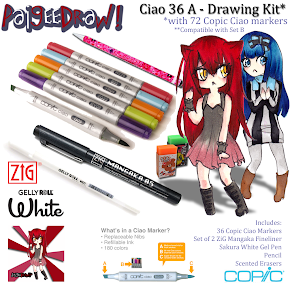 PaigeeDraw Christmas Prize Draw Winner! 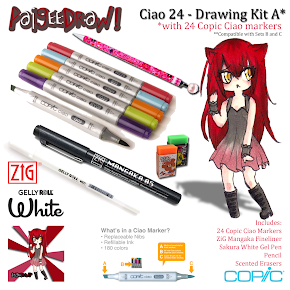 PaigeeDraw Christmas - Prize Draw! PaigeeDraw Christmas Released on iTunes!